Cute. Another reason to pay a visit. Hiya Fiona… it’s not fair to just leave a comment like that without saying what you believe this to be. 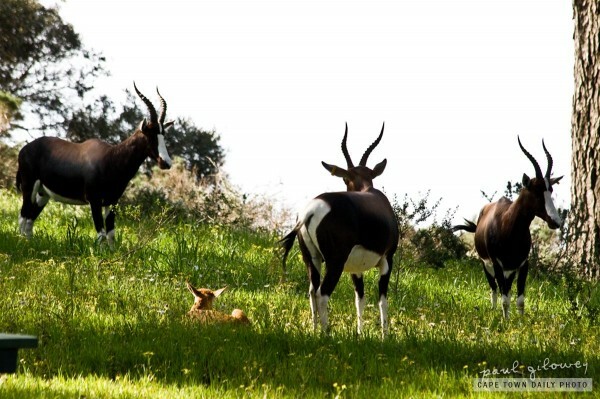 Nevertheless – before posting this I did in fact research what antelope are found on Tygerberg Hill. 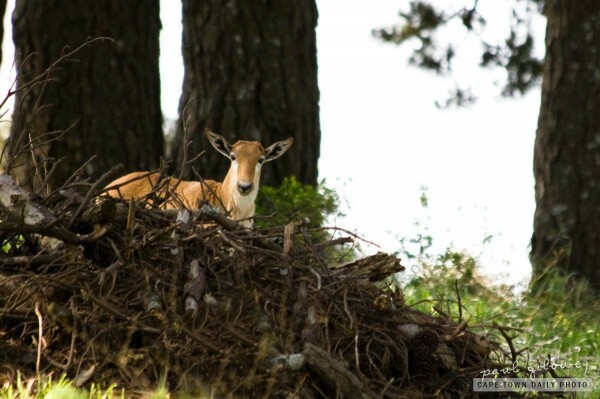 Let me assure you – this is a young Bontebok. You’re probably missing the distinctive horns that adults have. In fact, as I mentioned in the article, it’s mom (distinctive horns and all) was close by when I took this photo. The pair darted away soon after snapping this shot.